During the excavations, concentrated on the eastern slope of the City of David, structures dating more than 2,600 years ago were unearthed after being delicately extricated from collapsed layers of stone, the IAA said Wednesday. “Nestled within the collapse, many findings have surfaced, including: charred wood, grape seeds, pottery, fish scales and bones, and unique and rare artifacts,” the Authority said in a statement. 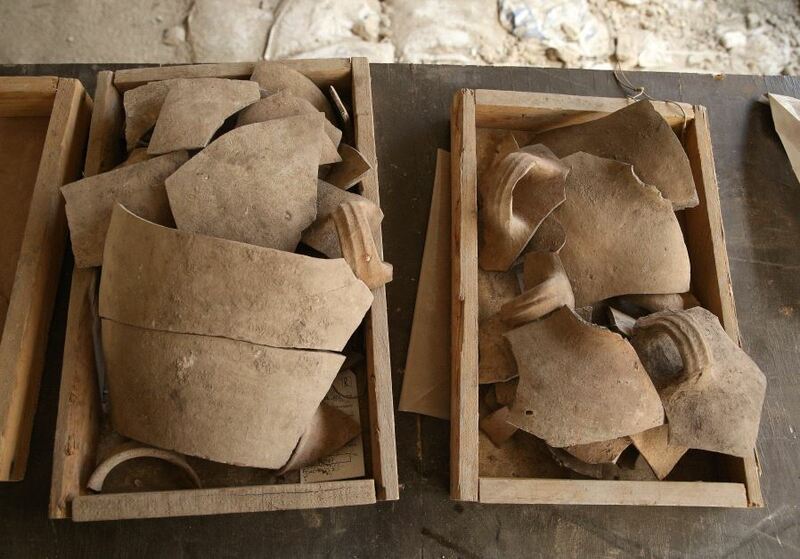 Notable among the findings included dozens of storage jars, used to contain both grain and liquids, with stamped handles depicting the seal of a rosette. According to the excavations directors, Ortal Chalaf and Dr. Joe Uziel, the seals are characteristic of the end of the First Temple Period and were used for the administrative system that developed towards the end of the Judean dynasty. “Classifying objects facilitated controlling, overseeing, collecting, marketing and storing crop yields,” the researchers said in a joint statement. “The rosette, in essence, replaced the ‘For the King’ seal used in the earlier administrative system. Chalaf and Uziel added that the excavation’s findings illustrate that Jerusalem had extended beyond the line of the city wall before its destruction. Moreover, they said excavations carried out in the past in the area of the Jewish Quarter have shown how the growth of the population at the end of the 8th Century BCE led to the annexation of the western area of Jerusalem. “In the current excavation, we may suggest that following the westward expansion of the city, structures were built outside of the wall’s border on the east, as well,” the researchers said.